Ohio Stadium, also known as The Horseshoe, or simply The Shoe and The House Harley Built, is the home of the Buckeyes football team at Ohio State University in Columbus, Ohio. With a capacity of 102,329, it is the fourth largest sports stadium in the United States. The stadium was completed in 1922 with an original capacity of 66,210, astronomical in size at the time. Many university officials feared that the stadium would never be filled to capacity. 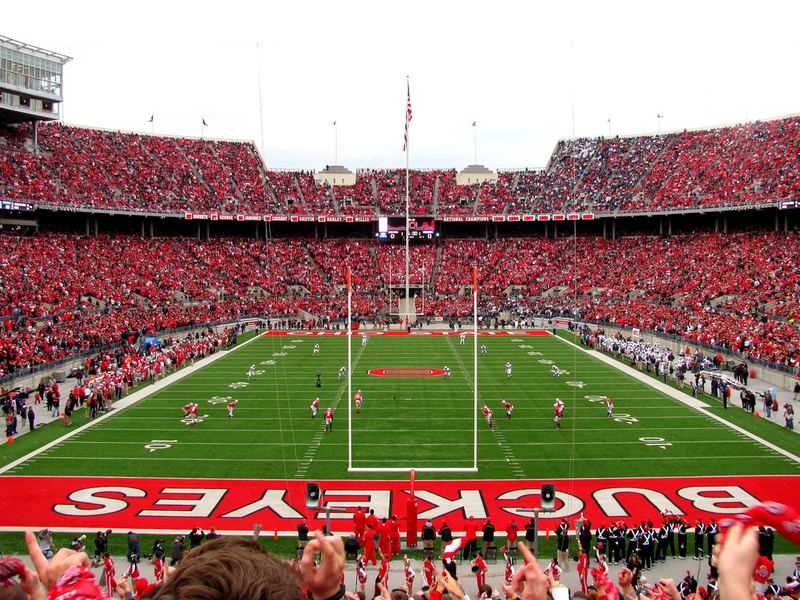 Ohio Stadium saw its largest crowd on November 18, 2006, with 105,708 fans in attendance for the Buckeyes’ matchup against their arch rival, the Michigan Wolverines. An interesting, little known fact is that the stadium does not have field lights and when night events do occur special lights must be temporarily installed, which happened in the 2005 game against Texas and the 2006 nationally televised game with Michigan.